My children & I have taken cod liver oil for 6 to 7 years now because I was always told it was healthy. Unbeknownst to me we have had symptoms of vitamin A toxicity all along. My oldest daughter (11yrs old) has had bone pain every once in a while, seborrhea, cracked lips in the winter, & in the last 2 years had needed glasses for farsightedness (she hardly ever gets sun). My older son (9yrs old) has had dry skin & skin is a little yellow (he goes outside a lot). My youngest son (almost 4) had extremely yellow skin & abdominal pains last year for a couple of weeks & returned again a couple of weeks ago when we started on the cod liver oil after a 2 month abstinence. My youngest daughter (1&1/2) has had terrible skin problems (dryness, eczema/seborhea) since she was a few weeks old & high liver enzymes when she was a few months old - her skin was actually looking much better until we started on the cod liver oil again. As for myself, I have had muscle weakness, liver pain, nausea, dry skin (my skin is normally oily), itching, & patches of hair falling out. At first I thought these things were due to pregnancy & post-partum hormones as well as chronic fatigue that I have battled for 12 years; but after reading about vitamin A toxicity I realized most of these symptoms occurred after I had been taking cod liver oil. a lot of hair. My daughter had a spot above her behind which the Drs. thought might be a neural tube defect - but thankfully it wasn't. I intend on having the children's liver enzymes & vitamin A levels tested as well as vitamin D status I believe they will be okay but am concerned since I've had liver pain on & off for a few years now & don't know how long it takes for vitamin A toxicity to clear the liver. 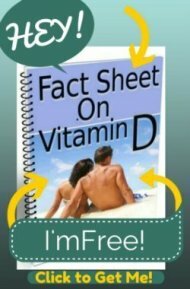 I believe if I had known about vitamin D we might have had less problems since I heard it keeps vitamin A in check. Can supplementing with vit D reverse some of these things? what can I give the children to naturally help their liver detoxify? I was told not to give them milk thistle. Will lemon juice in water help? Also I am Cuban with medium olive skin & since I don't get out much & after taking cod liver oil all this time I've developed a lot of moles on my skin (especially on my back - a tremendous amount) do you think vitamin D supplementation could help that? Sorry for the long email & questions but I can't find a whole lot on the internet about this broad a subject. Of course we have stopped the cod liver oil & do not plan on ever taking it again. I plan on taking a good quality Omega 3 Fatty Acid Supplement & Vitamin D Supplement as well as getting tested from now on. That is quite a story. Holy cow. Yeah, I'm just not a fan of cod liver oil, Vitamin D Supplements are just simply way better. Hmm. I'm curious why someone told you not to take milk thistle. 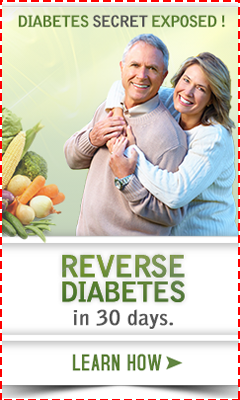 It's a very safe and gentle way to detoxify the liver and it was absolutely my first thought. But you could also include Chlorella as a gentle detoxifying agent that is safe for children as well. But anyway, we detoxify our livers every day, and one of the best ways to detoxify is to simply get rid of as much toxins going INTO your bodies and then your liver can work at its optimum. So, getting rid of all cleaning chemicals, shampoos and PARTICULARLY laundry detergent is a great move. When you use regular laundry detergent, toxins sit against your skin and get absorbed 24/7, so that is SUPER important to get rid of. Well, good luck and thanks SO MUCH for sharing your story. Let us know how things go with you and the kids. I am not sure when this comment came through previously, but am glad to find other stories out there. I started taking CLO last fall--one that was low in Vit A. So I was taking 2 pills 3x a day--totaling about 90% of my RDA (according to the bottle, or abt 900 iu total in the 6 pills all together), at first I had a great response--skin issues started clearing, etc. Then sometime this spring, a slight dizziness/brain fog/light-headedness set in (not exactly any of these things, but something definitely felt off). It wasn't overwhelming, and I attributed it as a reaction to either my elimination/provocation diet--it started getting more severe and included headaches and neck/upper back pain and fatigue after I had unknowingly added a multivitamin to the mix for a week, and was also occasionally ingesting a very small amount of cows liver (1/4 to 1/2 an oz maybe)--maybe a few times a week. And because I'm on an elimination diet--my eating has been abnormal, with higher than usual consumption of sweet potato, dark leafy greens etc. so plenty of vitamin A. I was starting to get really concerned about my brain health, and wasn't sure what was causing it. I did some praying about it and researching over it, and the night when my head felt particularly achy, I felt it all around and noticed there almost seemed to be an indentation at the crown of the back of my head that I had never noticed before--I did a little internet researching and noticed there might be a link with skull indents and Vitamin A toxicity, as it can soften the skull a little. So the lightbulb went on, and the more I dug around on the topic, the more it makes sense. I've ceased all supplements, and the headaches and neck aches are gone now, although I am still a little dizzy. I read that it can take a while for your liver to purge its store of vit A, so I might have that feeling for another few weeks I imagine. I am hoping to find a replacement omega 3, and try some detox teas. I'll try the milk thistle too--I've heard that's good for the liver bile flow. Thank you for the info! How long did it take for your symptoms to go away, like muscle weakness? I've been suffering with vitamin a toxicity for 2.5 months now after my naturopath put me on high dose vitamin a and FCLO. I still have severe muscle weakness, dizziness, blurred vision, and an enlarged liver. Return to Cod Liver Oil Information.